You are here: Home / Artistic Journey / Stamp your little heart out! Stamp your little heart out! 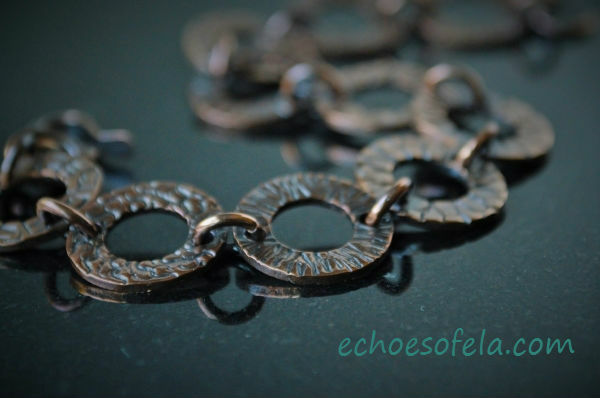 Have you seen the cool stamped jewelry that is all the rage lately? I love the look and figured it would be fun to add writing to some of my jewelry. So I figured it would be worth to give it a shot – I am always eager to learn a new technique. Getting stamping straight and even and equally deep is not for the impatient. Argh. Practice, practice, practice… folks that is the only way – you have to stamp your little heart out! I had previously bought some inexpensive aluminum and brass stamping blanks at my local craft store to get used to stamping on metal. But I have to admit it was a bit frustrating. And I wasn’t exactly in love with the font on the stamps, pretty plain. It seemed no matter how meticulously I lined up my stamps, even with the help of tape, the letters still looked wonky. 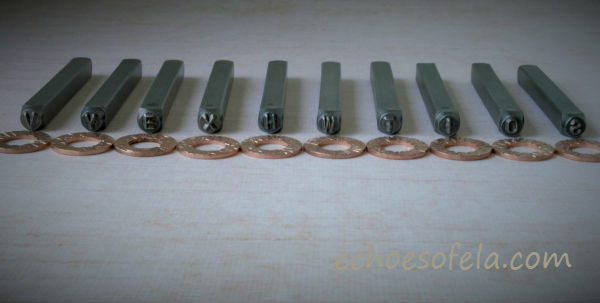 Looking for something to practice on, I spied some copper washers and decided to practice various letters on them. 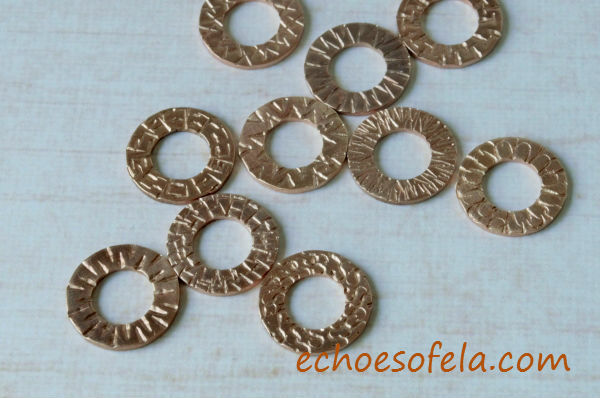 I wrote about my love for copper washers here and here. 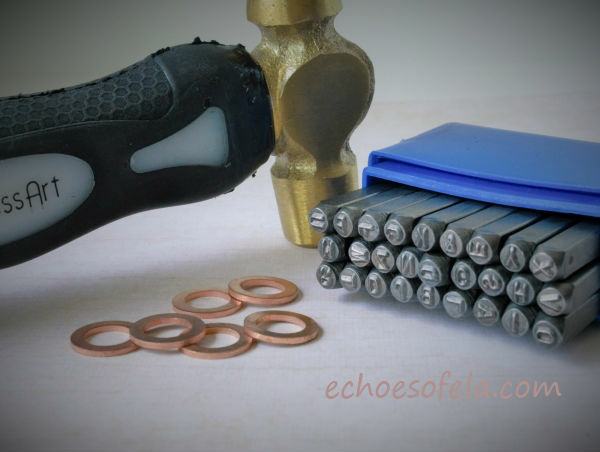 Diligently hammering away, stamping the letters in circles, I realized that this would be the perfect way to give the copper washers all kinds of different textures! So I began to experiment with various letters, first the W, then an O, S, V etc. Pretty cool, huh? You can fill in as much space as you like, I decided I liked the entire washer textured the best. Now, I love my plain hammered textures as much as the next gal, but being able to introduce new textures into my designs just gets the creative gears going! 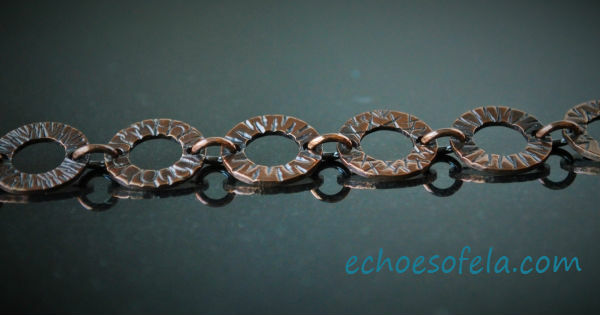 I decided to use my trusty hole punch tool and turned them into an interesting bracelet. The patina really adds a whole new dimension to the textures and gives them a pleasing aged look as well as added depth. 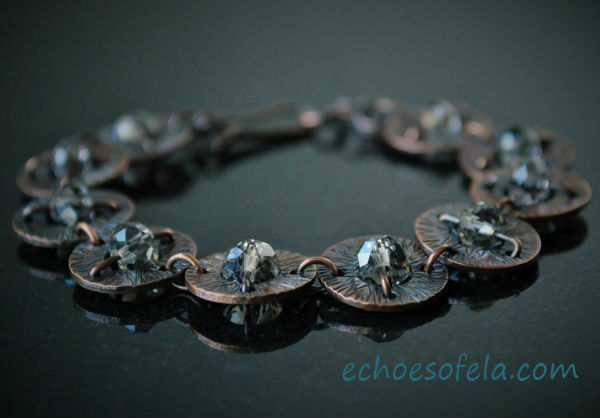 And because I want the various textures to “do the talking”, I opted to keep this a pure metal bracelet. Not that beads don’t add that little something extra! So what do you think? I am a big fan of using tools for more than one specific purpose. I can’t wait do some more experimenting and creating with this technique! 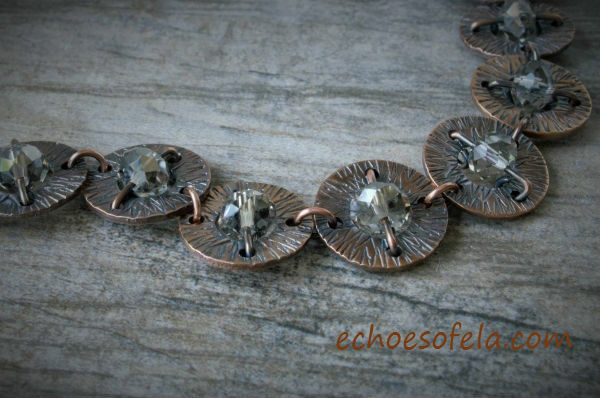 While this technique would be much too tedious to be used on a larger piece, it is absolutely perfect for smaller pieces like these! Is there a technique or a little trick you have discovered that has opened new possibilities? 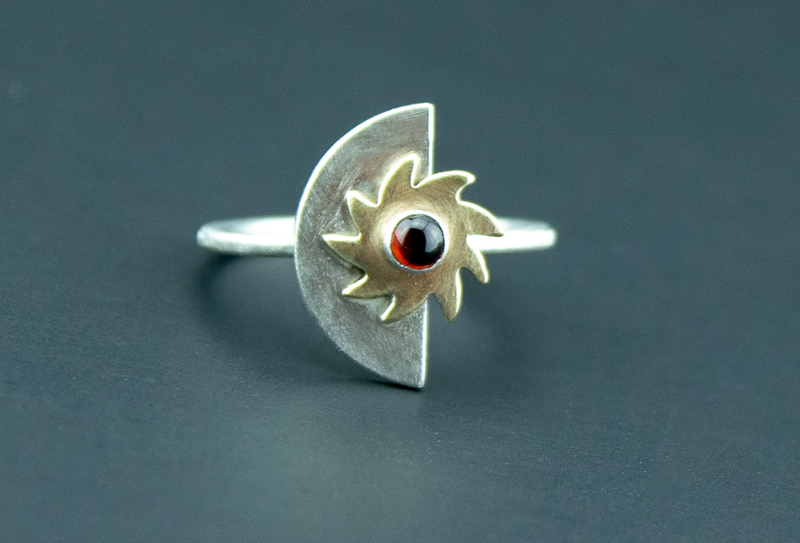 Or have you bought a piece of jewelry and wondered about the various techniques used to create it? Share your thoughts! I love hearing your comments and stories! Disclaimer: I have not received any form of compensation for statements made in this post and all opinions stated are my own!